was auctioned off to a Korean at 1,884,000 euro. is an entrepreneur who runs a chicken restaurant. the chapeau was auctioned off at a much higher price at 1,884,000 euro. 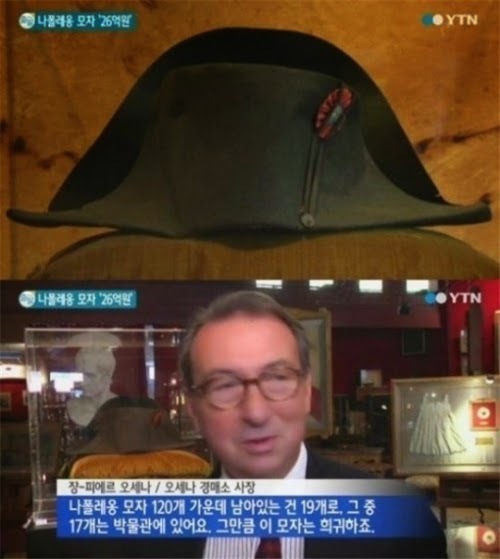 bidding price for a chapeau in history. only 2 have been allowed to be kept by regular people. One of them was auctioned off by a Korean entrepreneur. and will allow regular people to see them soon.